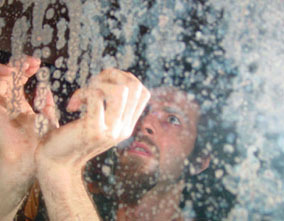 Stefano Musso studied art and electronics in his home town of Milan, Italy, and began performing ambient, electro-acoustic music under the name Alio Die in 1989. 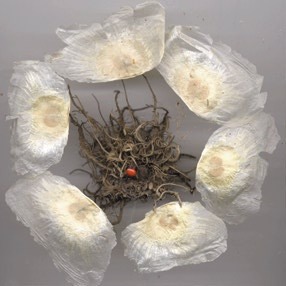 Characterized by evocative acoustic sounds manipulated and tendered electronically, Alio Die's work builds intimate soundscapes tied to the mystery and majesty of life and nature. 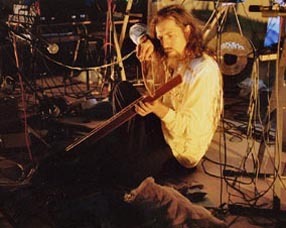 His first CD "Under an Holy Ritual", released on his label Hic Sunt Leones in 1992 and re-released on Projekt in 1993, was received with international acclaim. He subsequently released more than 25 CDs, and collaborated with many well-known artists such as Robert Rich, Vidna Obmana, Mathias Grassow, Nick Parkin, Yannick Dauby, Amelia Cuni, Raffaele Serra, Ora, Antonio Testa. "Natural and acoustic sounds and selected noises, electronically treated and reworked, are integrated in a meditative and spiritual context that often, in the feeling, becomes close to a prayer. Visible static, this music is rich of hidden sounds, layers of elements to discover at each listening. Alio Die's music, in the consciousness space that creates, it's a melting of technology and mysticism, like a new ritual with echoes of a medioeval time, deep and grounded in introspection." Since the late '80s, Stefano Musso has recorded deep, evocative experimental ambient and electro-acoustic soundscapes under the name Alio Die.Combining sweeping electronics with found sound and acoustical treatments, he has assembled a rich and varied collection of recordings for such labels as Projekt, Timebase, Heart of Space / Fathom, and his own Hic Sunt Leones label. Based in Milan, Musso studied art and electronic there, founding Alio Die in 1989 self-releasing a debut, Under an Holy Ritual, in 1992. Enthusiastically received in his home country, 'Holy Ritual' expanded Musso's international presence significantly in 1993 when it was licensed by the popular U.S. darkwave label Projekt. His music is a shadowy, cavernous, intensely detailed fusion of acoustical elements, step-and-repeat sample treatments, sparse, echoing percussion, and deep, atmospheric sound design, playing ambient's static tendencies off of shifting melodic and textural passages that suggest movement without sacrificing the music's vague, entropic formlessness. For almost two decades, Stefano Musso of Alio Die has gently pushed the Drone genre forward. In a still mysterious confluence of occurances, an entire generation of fresh artists set out redefining the Ambient concept in the early 1990s and Musso was one of them. "Passion, nature and awakening" are at the heart of his script, which is, however, free of any New Age connotations. Rather, the Alio Die aesthetics have a lot in common with traditional Indian music and its ability of building an entire world from a simple, continous root tone and of completely side-stepping time's regular borders. Most of all, however, his oeuvre is simultaneously marked by a wondrous absence and pervasive, yet hidden presence of popular music's main ingredients: Melody, harmonic development and rhythm. There is always a pulse running through Musso's stretched-out sound worlds, which never fail to speak directly to the heart and the regular inclusion of acoustic instruments and even vocals lends subtle motivic tension to the otherwhise freely floating pieces. 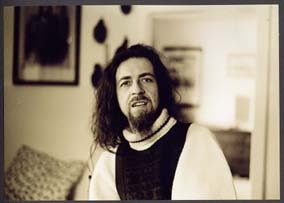 His both recognisable and discreetly subcutaneously tingling style was quickly picked up by Projekt records, which in turn associated him with the American scene and artists like Steve Roach and personal favourite Robert Rich - resulting in a string of inspired and inspiring collaborations. At the moment, however, Musso is focussing on his solo work and on his small, but highly respected Hic Sunt Leones outfit specialised in releasing limited Digipacks of his own work and the music of befriended artists. As the spiritual father of this select community, Musso is thereby not only pushing the Drone genre to new horizons, but establishing links with completely different scenes as he approaches the beginning of a third decade of musical activity.